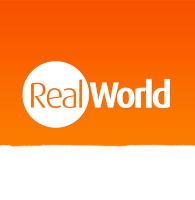 Maybe it’s because it’s Friday and thoughts are turning to the weekend, but today seemed like a good day for a look at something that’s often the subject of debate here in the RealWorld office: which is the best beer in South America? 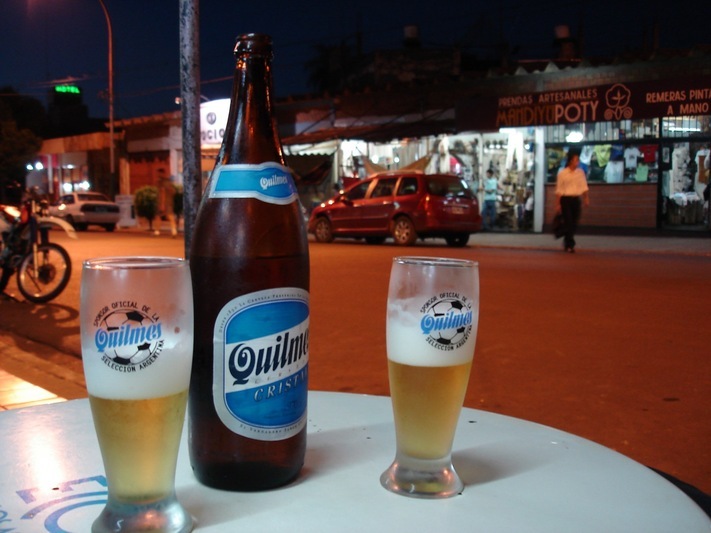 We’ve all got fond memories of a particular bar/beach/bench (ok, that last one’s just me…) and of sipping a particular brand of ice-cold, smooth South American lager as you watch people walk by/the sun set into the Pacific/trucks reversing (me again), but how to choose between them? 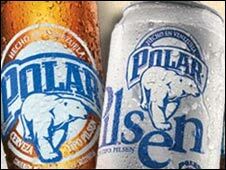 The two main lagers produced in Lima are Pilsen Callao and Cristal. Pilsen always gives me a massive headache, even though many people swear by it, but Cristal is a different matter. It’s quite full-flavoured compared to a lot of beer in South America, and unlike some others it doesn’t need to be chilled to within an inch of its life (I’m looking at you, Brahma) which makes it a perfect beach beer – just take a couple of the litre bottles down to the ocean, stick them in the waves and you’re set fair for the evening! 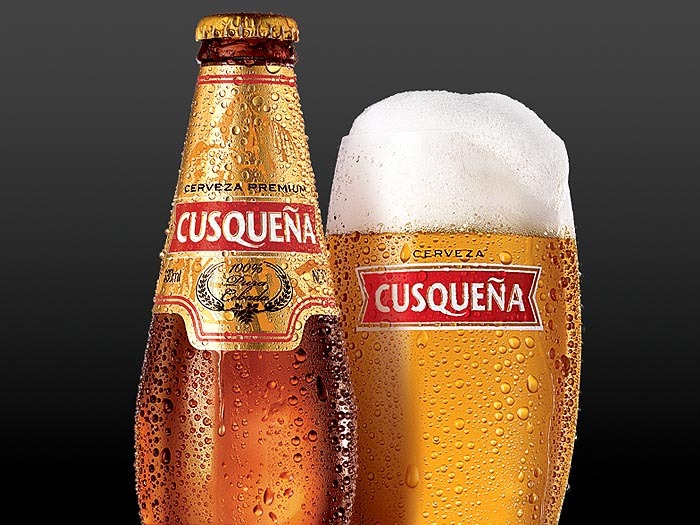 Although there is a burgeoning craft beer scene in Ecuador, around 90% of Ecuadorean beer is produced by Cerveceria Nacional in the guide of Pilsener (by far Ecuador’s most popular beer) and Club (which I personally think is a step up). 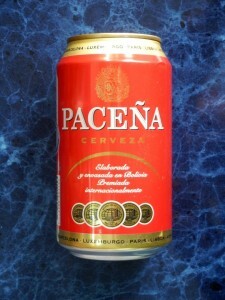 I’m not a big fan of Pilsener and although I think Club is ok, it’s certainly not the best beer in South America. Its stablemate Club Roja is really quite a revelation, however: a little darker than your usual lager, and with a solid foamy head and pronounced malty taste, it’s a very reasonable beer indeed but because it’s produced by the big brewery you can find it almost everywhere. The tip here is to get the red and gold cans rather than the bottles: it’s a slightly different brew and a much better drink. 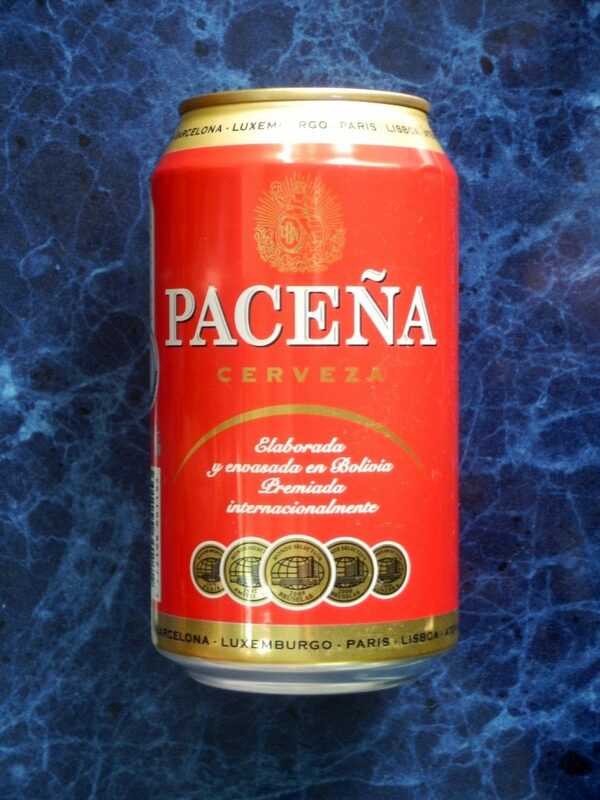 Both Paceñas are Pilsener-type lagers (although many feel they’re not really authentic Pilseners) with a light golden colour and lightly malted taste but the Pico de Oro type (the one in the can) is a bit wheatier than the Pico de Plata bottles. I know, I know… you thought this had died the death years ago. But in fact Skol is one of not just Brazil but the world’s best-selling beers. I have to say that I think it’s far from being the best beer in South America, let alone the world, but I’ve included it here because I assume that tens of millions of people can’t be wrong? To be fair, it’s a very different product to what you might remember being on sale in the UK a decade or so ago, but if you’ve drunk a warm one, you can see why Brazilians like their beer almost frozen. Everywhere you go in Chile you’ll find Cristal on sale, unfortunately it’s not the Peruvian Cristal: it’s blander and generic to the point of tasteless. If you were being charitable you’d compare it to a Miller Lite, but it’s really a last resort, despite being Chile’s most popular beer. Luckily, mass immigration from Germany during the 19th and 20th century means Chileans aren’t short of alternative options. Kunstmann, for example is based in the southern city of Valdivia and produces a range of good beers, but even their standard ‘Kunstmann Lager’ is a huge step on from Cristal. 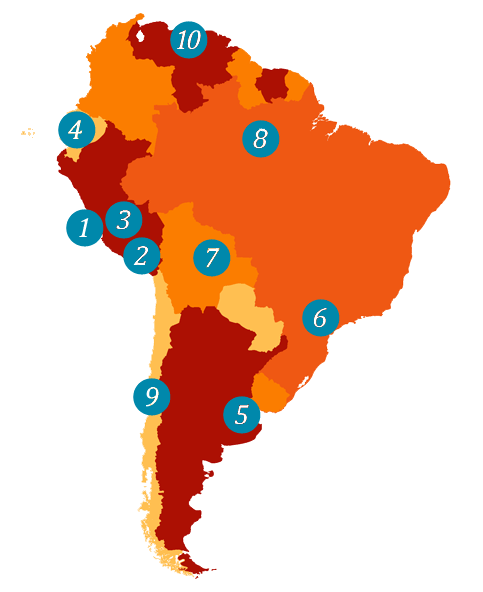 Venezuelans drink more beer per capita than anyone else in South America (a whopping 86 litres a year!) and whereas further south in Peru or Argentina you’ll find larger litre bottles the most popular, up here on the Caribbean they like their beers in little stubbies and ice cold. The market leader by a huge margin is Polar. You’re more likely to be struck by the cute polar bear on the bottle rather than by a knock-out taste but it’s a decent enough lager, with a crisp, refreshing taste. If you fancy something a little different then look out for Polar Malta – it’s a dunkel-type beer which you don’t want to drink all night but has much more flavour.